handful to safely put it out. your car to put out a fire. It won't damage anything it touches. water, soak and rise the produce. soda added to the washing water. damp cloth. rinse with clear water. the soda from time to time. Replace every 2 months. and water to get rid of stale smells. surfaces, scour with a paste of soda and water. aluminum) in a soda solution ( 3 tbsp. soda to 1 quart water). handles: place the silver on aluminum foil in an enamel pot. instead of soap to give it a good cleaning. with dry soda and a moist scouring pad. soda. Leave the pot overnight, then scrub it clean next day. scrub in the direction of the grain. tub, tiles, shower stall, etc. rub them hard with soda, then rinse. teeth and dentures with it. will help relieve diaper rash irritations. to relieve discomfort. Make a paste with water. as measles and chicken pox. relieve acid indigestion or heartburn. 45. Gargle with 1/2 tsp. baking soda in 1/2 glass of water. Freshens and cleans your mouth. water, 2 cups soda, 1 cup cornstarch. dampened cloth and wipe windows inside and out. 60. Use to remove melted plastic bread wrapper from toaster. 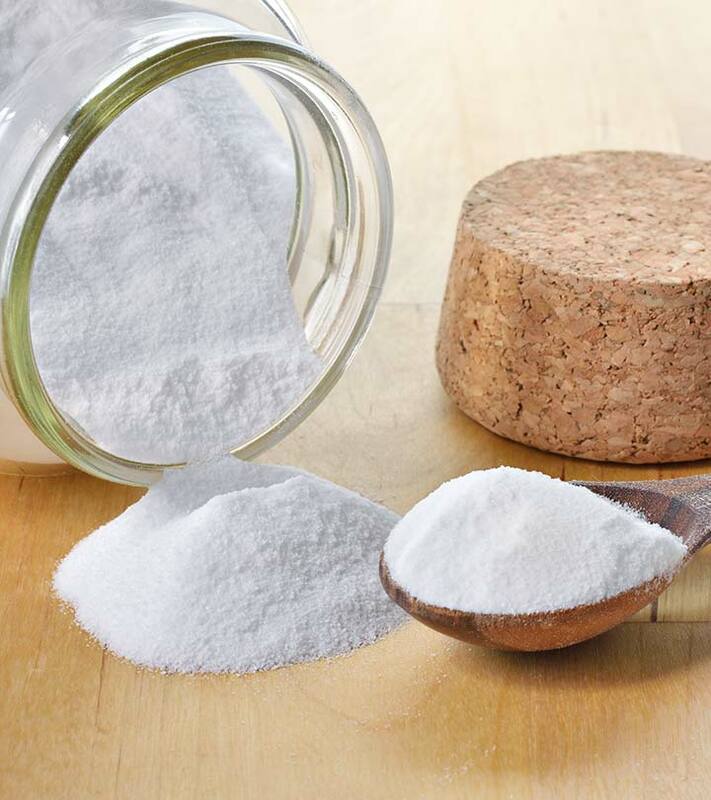 Dampen cloth and make a mild abrasive with baking soda.